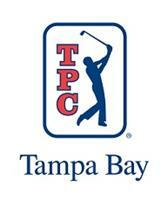 The 18 hole, par 71 TPC Tampa Bay course was designed by Bobby Weed with Chi Chi Rodriguez as player consultant. It was designed not only to challenge the top golfers of the world, but also to provide a challenging and fun experience for players of all abilities. The course gives the players the opportunity to play well within their game, with a variety of teeing areas that allow the course to be played from 5,036 yards from the forward tees to 4,990 yards from the championship tees. 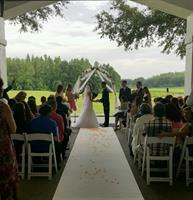 TPC Tampa Bay has won numerous awards and continues to garner praise and rave reviews. To book a starting time, call (866) PLAY-TPC or CLICK HERE to reserve your starting time online. Dale Mabry Highway. Travel 2.5 miles on Dale Mabry to the second traffic light at Lutz Lake Fern Road. Turn right onto Lutz Lake Fern Road and TPC Tampa Bay will be approximately 3 miles on the left.